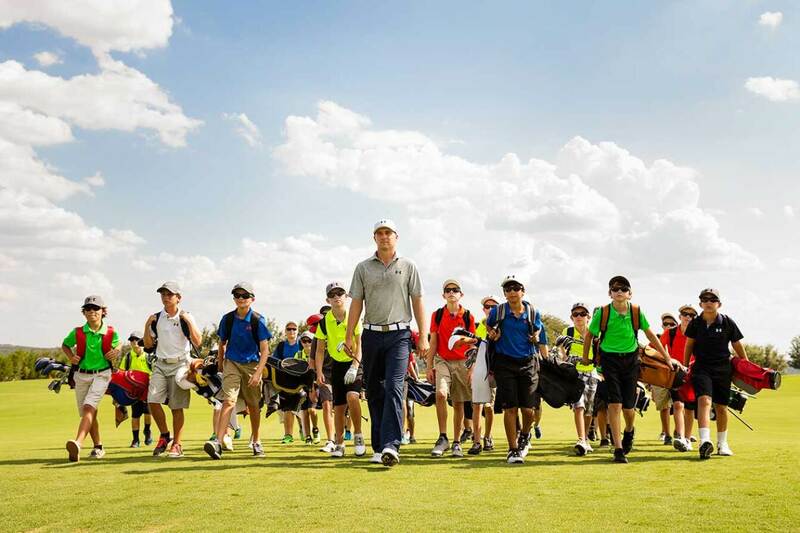 Jordan Leads Junior Golfers at the UA / Jordan Spieth Championship - UA took this photo in advance of the first annual UA / Jordan Spieth Championship. 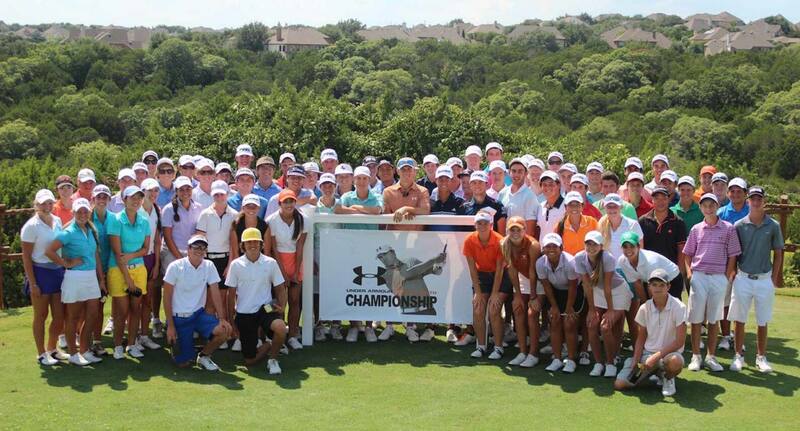 The event, hosted at the University of Texas Golf Club in Austin, featured a thrilling win by Chandler Phillips in the boys group. Hailee Cooper was uncontested in two rounds to win the girls division. Watch a recap. 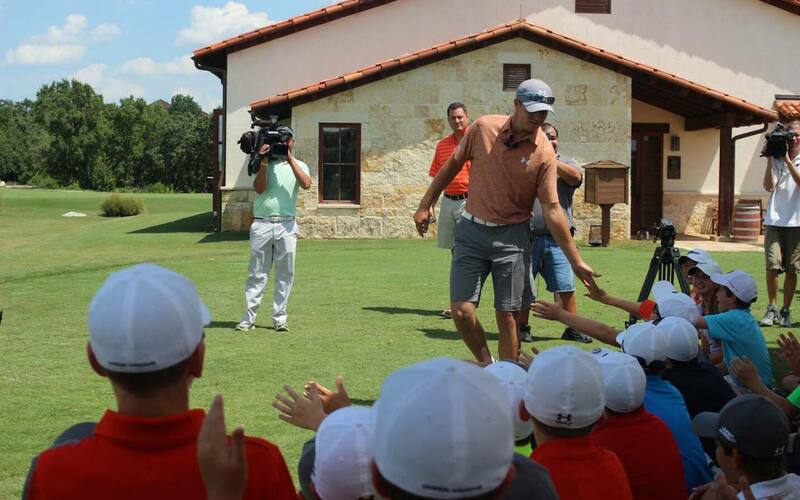 2014 Under Armour/Jordan Spieth Championship - Jordan greets the junior golfers participating in the inaugural Under Armour/Jordan Spieth Championship at the University of Texas Golf Club. 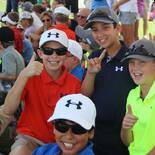 The tournament featured both boys and girls divisions, with 57 boys and 21 girls on the field, and is the first AJGA event to be hosted by Jordan as a PGA Tour player. 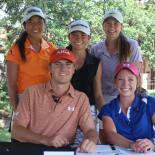 Read more about the event and Jordan's connection to the AJGA. 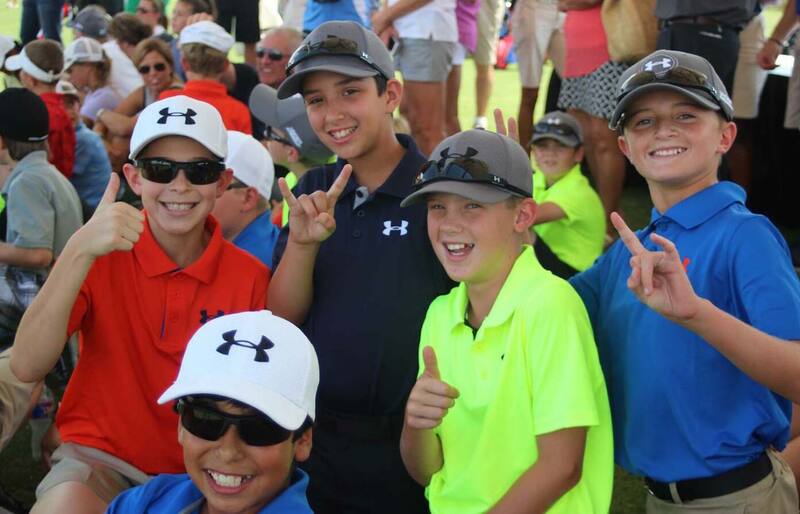 2014 Under Armour/Jordan Spieth Championship - Some young junior golfers throw up the hook 'em horns while attending the Q&A with Jordan at the Under Armour/Jordan Spieth Championship. 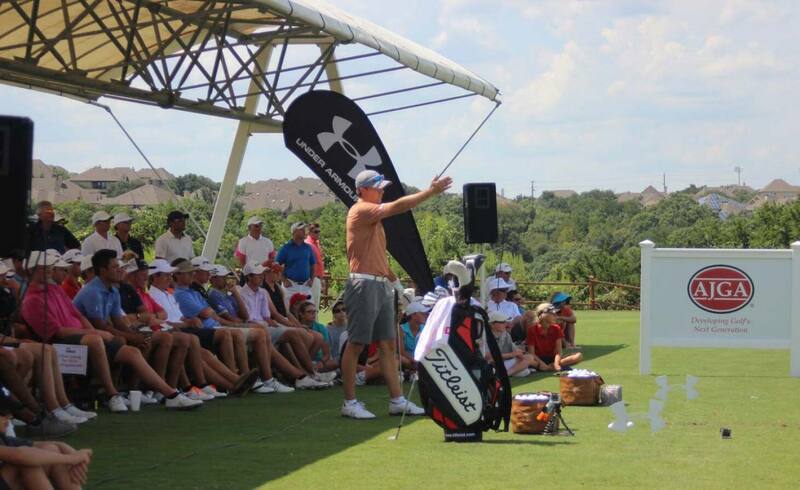 2014 Under Armour/Jordan Spieth Championship - Jordan answers questions from fans and AJGA players while demonstrating his driving technique Tuesday afternoon before the start of the Under Armour/Jordan Spieth Championship. 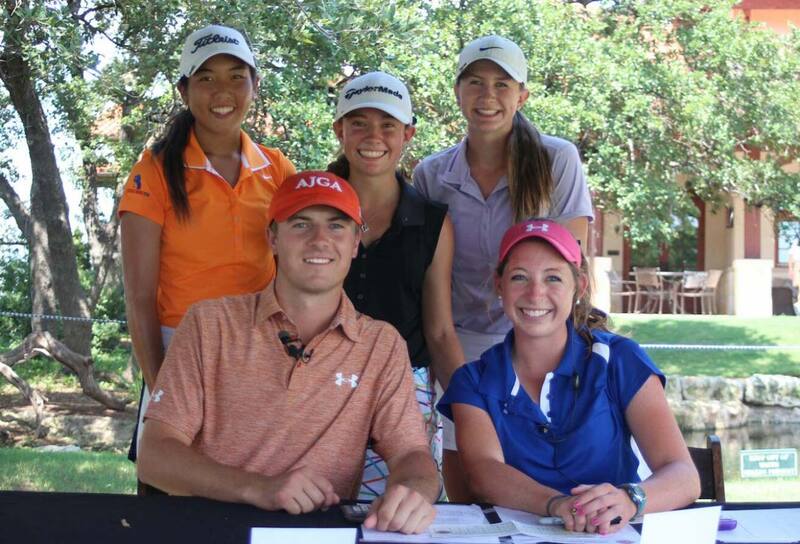 2014 Under Armour/Jordan Spieth Championship - AJGA golfers Amber Park, Kennedy Swan, Chandler Rosholt, and Kelly Litzelfelner hanging out with Jordan in the scoring tent on Tuesday at the Under Armour/Jordan Spieth Championship. Watch a one-on-one interview with Jordan during the event. 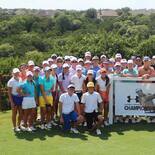 2014 Under Armour/Jordan Spieth Championship - Jordan and the junior competitors participating in the Under Armour/Jordan Spieth Championship stand together for a group photo at the UT Golf Club.